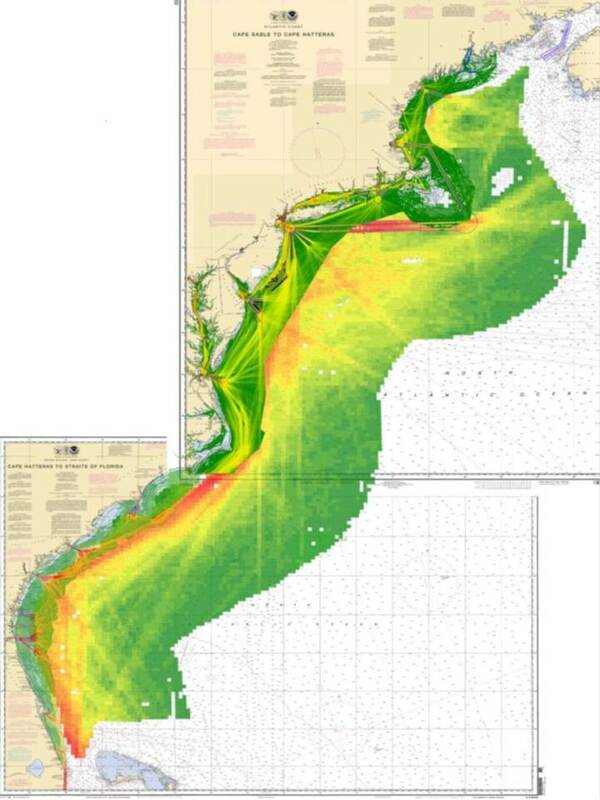 The Atlantic Coast Port Access Route Study (ACPARS) is being conducted by the US Coast Guard in preparation for Coastal and Marine Spatial Planning processes now underway in the Mid-Atlantic and New England regions in conformance with the Administration’s National Ocean Policy. The information collected will also be critical for offshore windfarm site permitting by the Bureau of Ocean Energy Management (BOEM). Information being assembled will document vessel traffic patterns, routes and traffic volumes, as well as identifying trends and future navigational needs and issues. View a powerpoint on ACPARS presented to the Mid-Atlantic Fishery Management Council on 06/13/13 by LCMR Kevin Saunders, USCG 5th District.